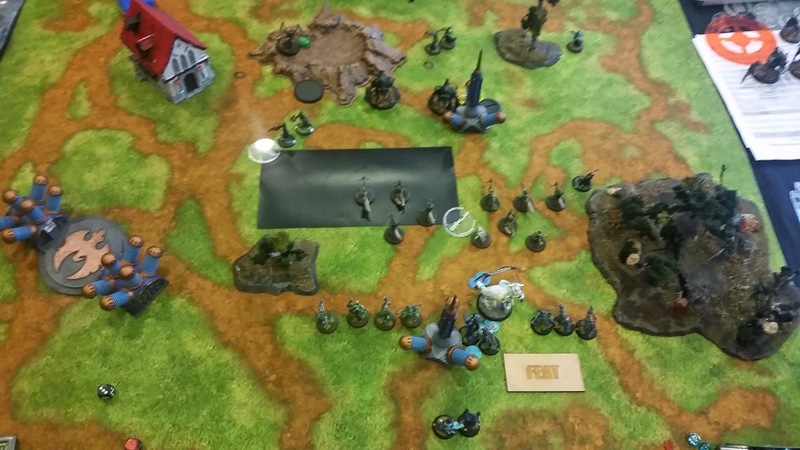 Retribution of Cyryst: Camp Zama Army Base Steamroller 35 point report. Apologies for not putting fancy lines and boxes with information inside these pictures, but the quantity was just to great after such a long day to get the report written and fancied up at the same time. So onwards with old school batreps. 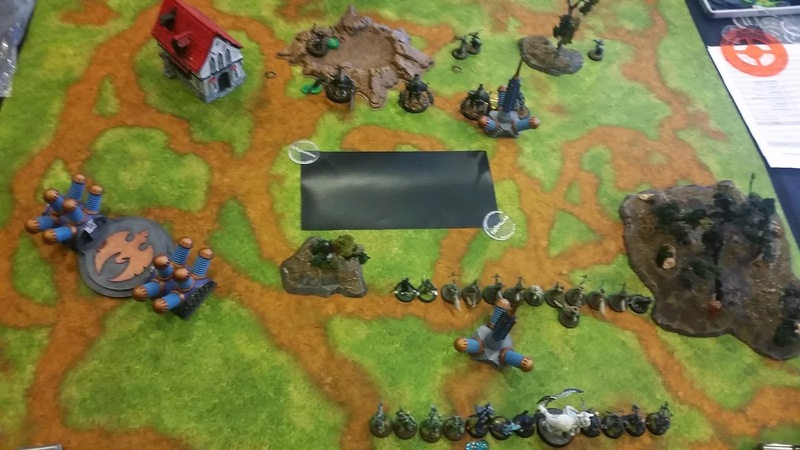 As the title suggests on this day January the 17th saw U.S Army base Camp Zama host to a small but furious 35 point steamroller tournament. 6 players in total with the factions and top 3 places represented as follows. Followed up by, in no particular order. 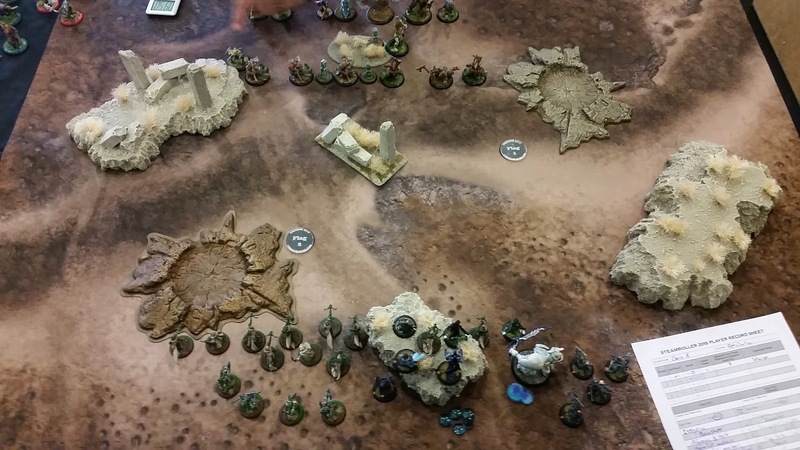 I spent a lot of spare time during the week thinking about these lists and as always after many agonising hours of convincing myself not to play Garyth and pVyros (because believe me I really wanted to) I chose these lists not out of any calculated reasoning but because I quite literary could no longer agonise over 1: Covering every potential match up that I was expecting to encounter and 2) delivering enough answers and problems wrapped up in 35 points. I really wanted to play Garyth and pVyros. I believe that outside of the Mage Hunter Strike Force, but also including it, the Retribution of Scyrah is a faction that usually has answers to problems other forces create. Unless the problem is tough, it used to be stealth but now we just kind of roll over and take it when it comes to tough spam. Or I do at least. Because of this I ended up with lists that were designed to deal with as many potential problems as I could expect to encounter. We just kind of roll over and take it when it comes to tough, or I do at least. Was supposed to have the Infiltrators running up the center or on the flanks, depending on what they were facing and basically getting in the way and screening the Invictors and allowing Imperitus to set up assassination runs. This never actually happened. 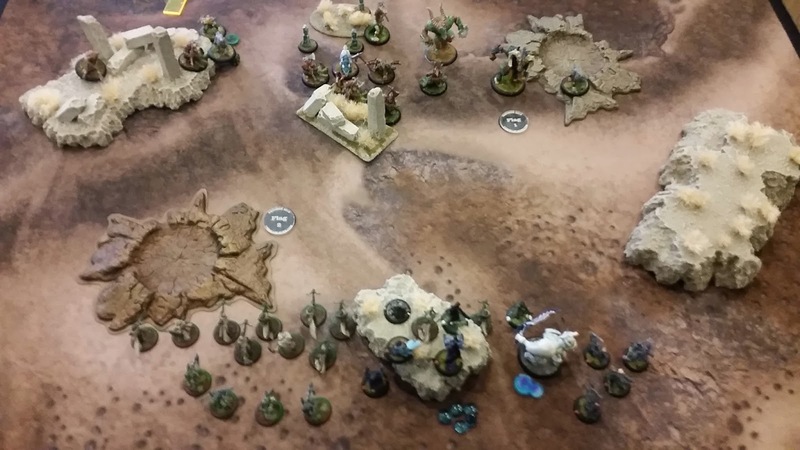 The one game I played Ossyan in went as follows. pMadrak? or E? Not sure big angry smurf with an axe. Mulg, the biggest angriest smurf with a caber. 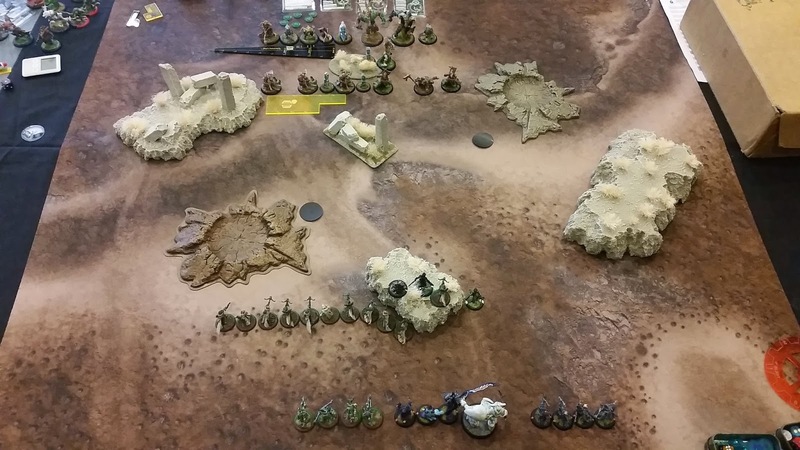 Trolls has the first turn and advanced up on the left flank through the patches of woods. 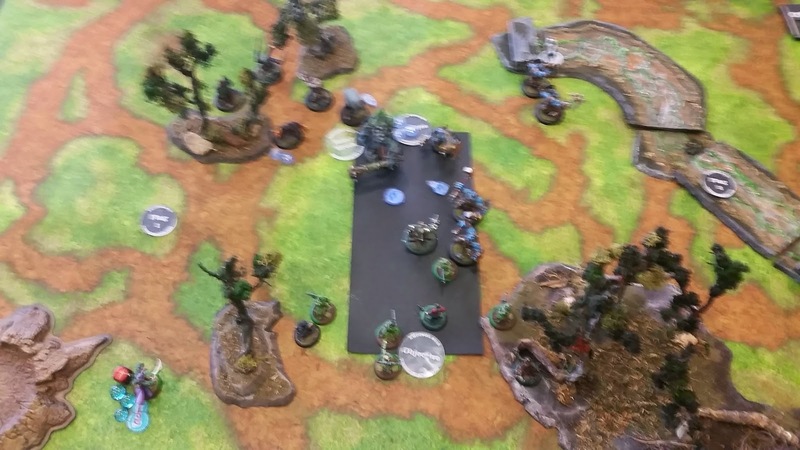 So shortly after my first turn I realized that I should have sent my Infiltrators screaming up the OTHER flank so they could get stuck into his Kriel stone. However I contented myself in the false belief that tying up a couple of his warders was a worthy exercise. 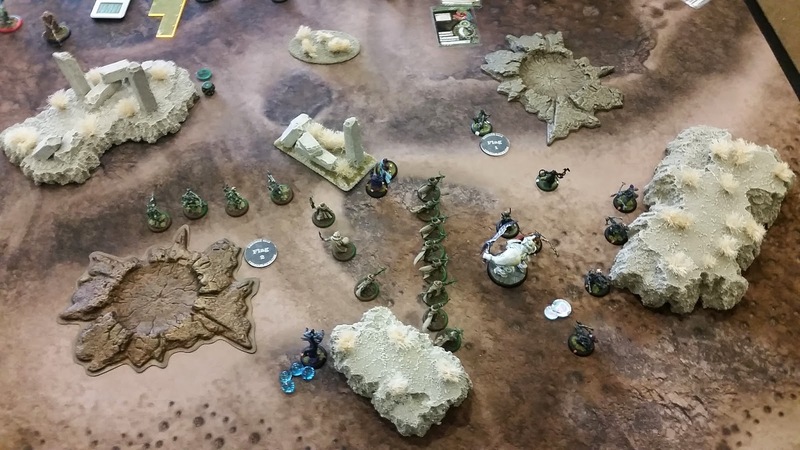 Imperitus also advanced directly into the kill zone of his burrowers, without Quicken or the Artificers force wall. All the troll player was missing was longbows. This overall was a terrible strategy, I was bottle-necked through the middle of the table through 2 forests and around the center objective. 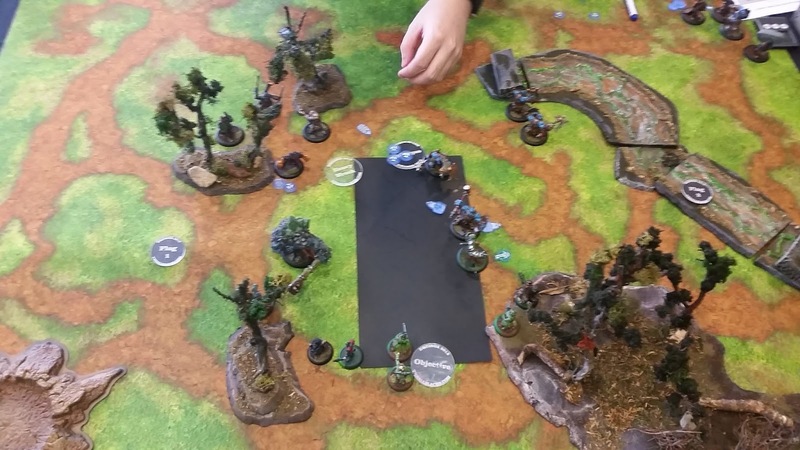 All the troll player was missing was longbows. Burrowers pop up and don't do much damage to Imperitus but kill about 3 Invictors. 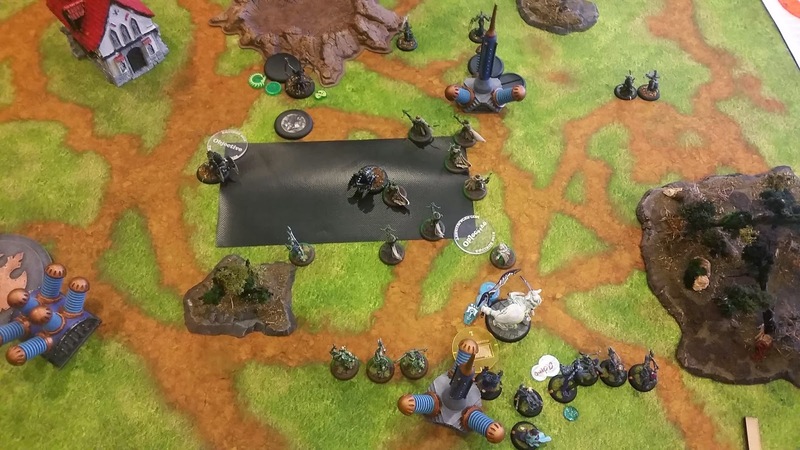 For Ossyan having his gunline engaged or otherwise blocking their line of sight on the second turn is pretty bad. He needs the space to bring those guns to bear to utilize the feat turn. Never mind all I have to do is kill a couple Burrowers and with sidestep and admonition I can set up to still be a threat to Mulg without trading out. Imperitus gets 3 focus, the magister charges in and combo smites a Pyg, it toughs, so does its friend. Imperitus hits it, it toughs. he hits it again, it toughs again, he hits it again, it toughs again. I panic. He hits a different one, it toughs, he hits it again then it dies. It toughs again. I panic. By this time I am well and very done with Tough. 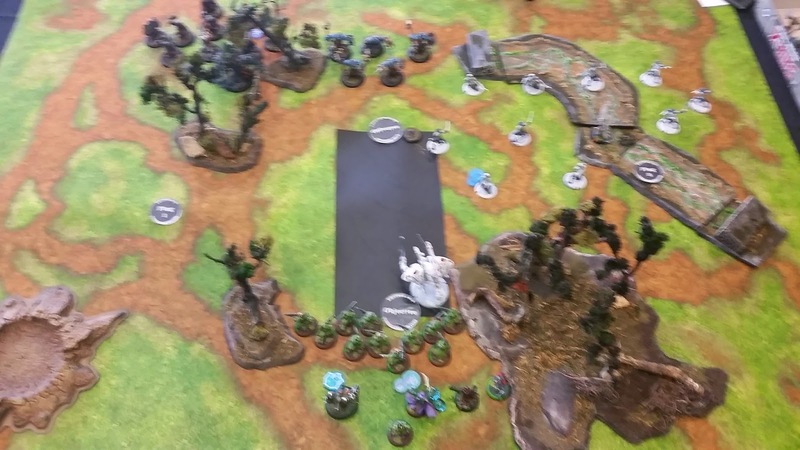 Yet the Invictors now who have failed to have a path cleared for them or a decent line of sight to his caster created now try to kill Pygs who continue to roll tough rolls. 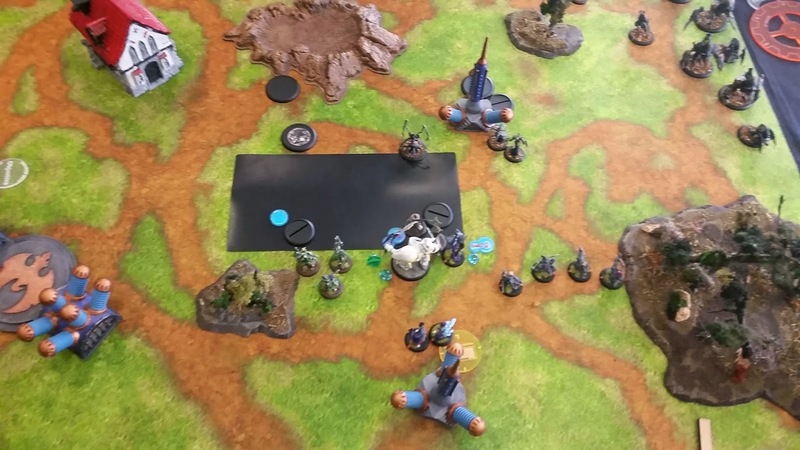 Ossyan with a lack of imagination advances and shoots Mulg putting a Chronophage down on him. So its at this point that I might stop calling them Burrowers and start calling them Borrowers, like borrowing luck, not just for themselves but for his whole army. 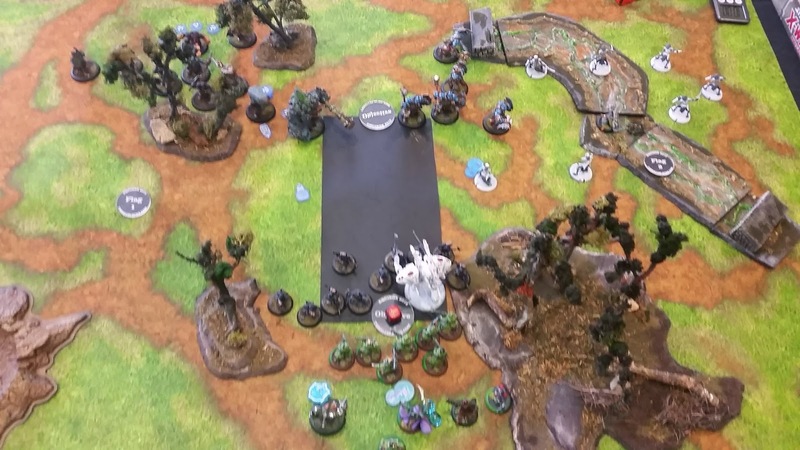 The Warders just walk up and roll 7s to wipe out most of my flanking force the Burrowers almost kill Imperitus and the rest of his army chillax in the forest with Mulg sitting there waiting for something to do. What he does do is after a Warpath move he advances up on Imperitus and falls short. 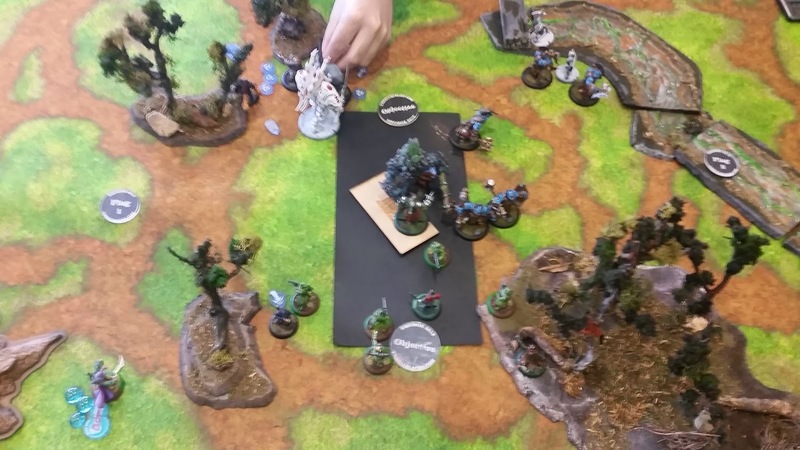 Normally when the key heavy character warbeast tried to kill your key heavy character jack and misses utterly you turn around and kill it and start to win the game, this however didn't happen. 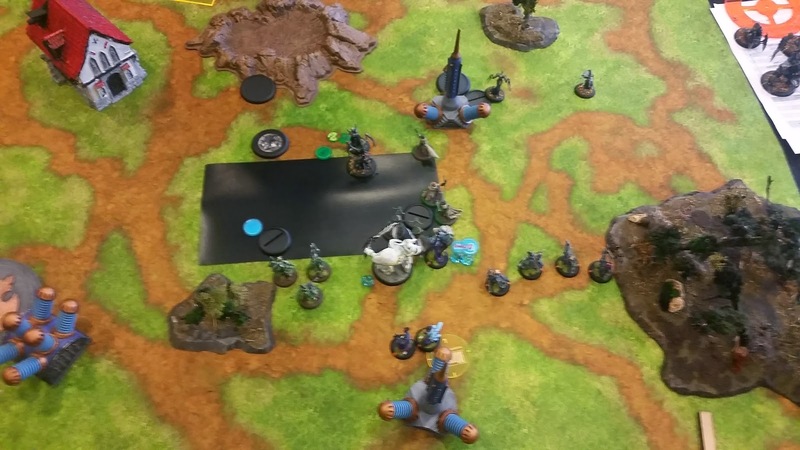 First of all Eyriss couldn't get close enough to shoot the Kriel stone and strip its fury without getting engaged by the Warders. So Mulg was arm 21. Secondly I still needed to clear damn Pygs out of the way to get Imperitus in and thirdly I have absolutely no faith in Imperitus with 3 focus and Concentrated power to be able to kill Mulg, well anything at all for that matter but especially Mulg. Yes thats right, I think one of our hardest hitting melee specialized jacks is still a limp wristed dandelion puff and for the most part still rely on my Infantry to do anything that seriously needs to be done. The problem was my Infantry was dieing in droves and I wasn't getting much done. It is my experience that Ret jacks are not beat sticks, they are more utility pieces, tools to apply pressure and open spaces or opportunities when they arise. Imperitus for me wants to stay alive and hold zones and put down assassination threats, he doesn't enable like the Banshee or Daemon does but gives a pretty good threat to enemy casterlocks.Not kill giant heavily armored meaty smurfing death machines. So What happens is the Invictors make space for the Magister to Whipsnap Imperitus out so he has enough range to threat on Madrak. All I need is for him to not roll tough rolls, well that and to not roll another 7 and kill Eyriss with a free strike so she can Arcane Hemorrhage Madrak. Of course he doesnt tough, but he does roll that 7, and the assassination is doomed for failure. So Imperitus settles for killing most of his Kriel stone unit. Unimpressed Mulg turns around and pounds Imperitus into the dirt. Actually he doesn't quite, because of Pheonix Protocol. At this point in the game 2 things are worth mentioning. My Arcanist fails its repair check. I didn't mention this because this always happens. This should not be something that always happens, repair (8) is good. But I can honestly say I remember one time in the last 7 that it actually managed to repair something, and that was for 1 point of damage. Seriously whats going on here? But actually Madrak burns all of his fury finishing off Imperitus and at this point I am happy with what Imperitus has managed to achieve. In a round about way he gave me my only shot at winning this game by being just tanky enough to make Madrak burn all of his fury. The best part about this turn was using beat back to push a warder close enough for my Magister to slam said warder into the Artificer. 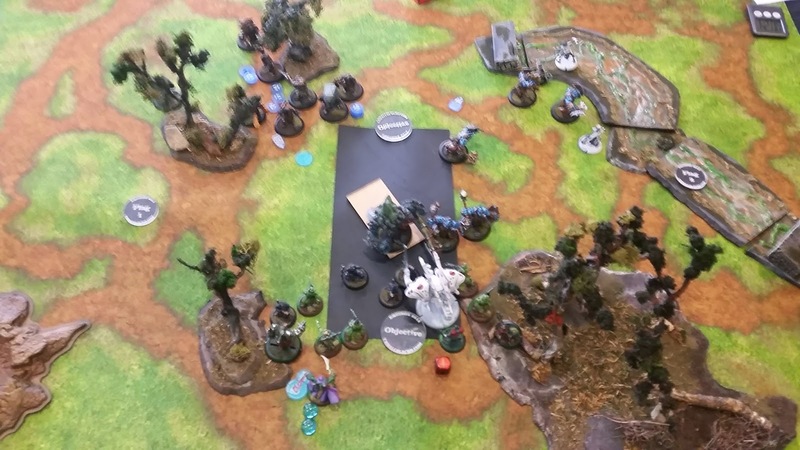 Mulg used a protective fit to half kill Ossyan and then finished him off with a dismissive back hand. After the resounding disappointment of the last game I went with my Issyria list to deliver MHA justice to face. Such a pretty table mat. So after deployment I realized I said I would go first. 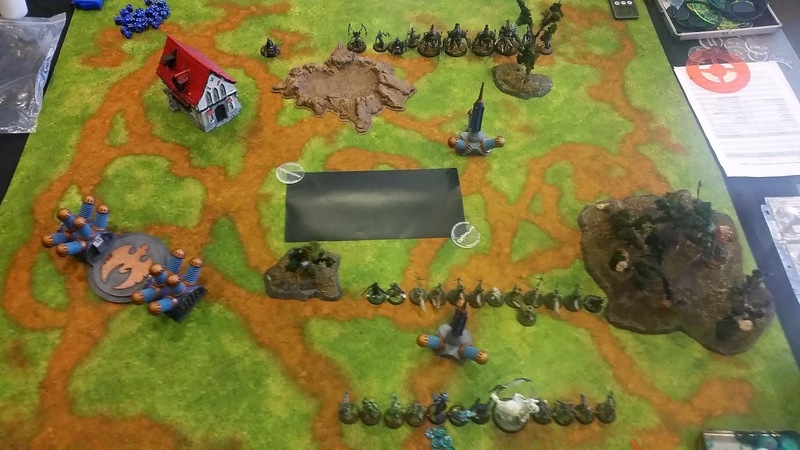 So my first amazing turn was spent advancing my front line only 2 inches and bringing the rest of my army up behind it. And his amazing first turn was spent advancing into range of my guns as was meant to happen on his first turn. 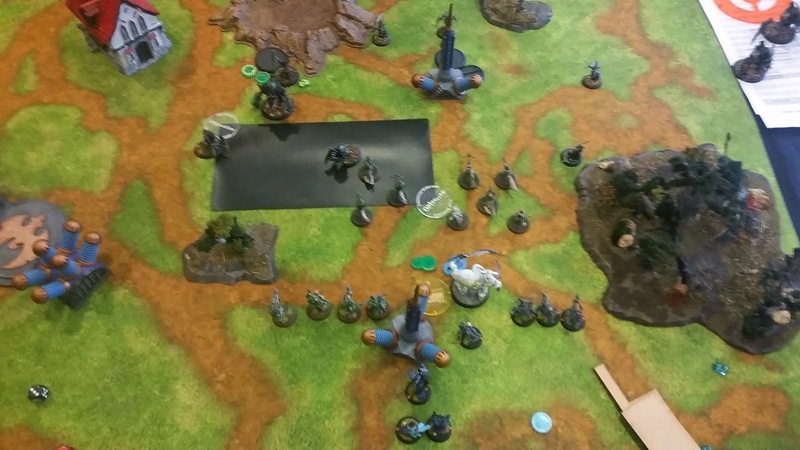 Then my second turn wasn spent killing him with aforementioned guns. Banshee gets a focus and puts it to use knocking down the Gnarlhorn. So Issyria advances casts Crusaders Call and Feats and possibly smirks. The first Mage Hunter Assassin charges the Character or Shadowhorn Satyr (I honestly didn't know what it was I just knew it was going to suffer chain weapon justice) The first almost kills it and the second does kill it. The storm fall archers on the right step up and kill the Gnarlhorn and the archers on the left kill some Ravagers while the Strike force also kill some Ravagers. It was after all a pretty ball busting turn for the Circle player so he went to do the only thing I thought he could do. Well no he had that option and the possibility of Charging his White Mane in for hilarity and good times. But he didnt. It seriously could have eaten its way through 2 units of elves tho. Anyway Laris runs in so Kaya can feat and teleport in to kill Issyria, but first Issyria admonitions away from Laris, then he figures he can still go for a spell assassination except he cant teleport anywhere and not be effected by Banshee wailing. So he opts for plan B which is run army away, adopt fetal position close eyes and wish for it all to go away. This was essentially forfeiture without forfeiting so I play long score scenario points and assassinate on the winning turn. Thus Kaya taps her ruby red shoes and whispers there's no place like home. 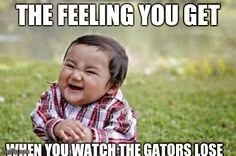 I'm sorry Gator player you are undeserving of my ire. Feat on first turn, try to win. 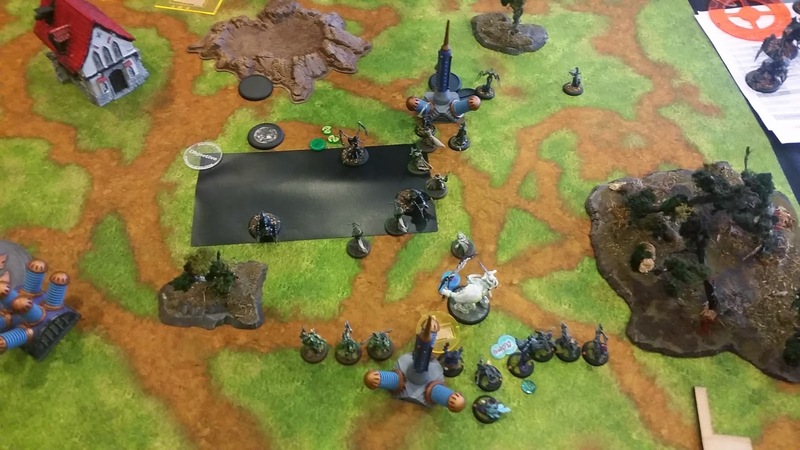 I found it hard to hide my excitement when my opponent told me he had a extra 2" deployment from tier. To be honest my strategy for this game went as far as my last. So he did spend his first turn advancing into my threat ranges. The Banshee couldnt bring up a decent threat and he didnt leave Morty close enough to get double charged by Assassins. Still Issy advances, Admonitions herself Invoiable Resolves the Banshee and feats. I kill the small jack, the crab jack and another and cripple the other 2. He attempts an assassination run and Issyria Admonitions out of harm. 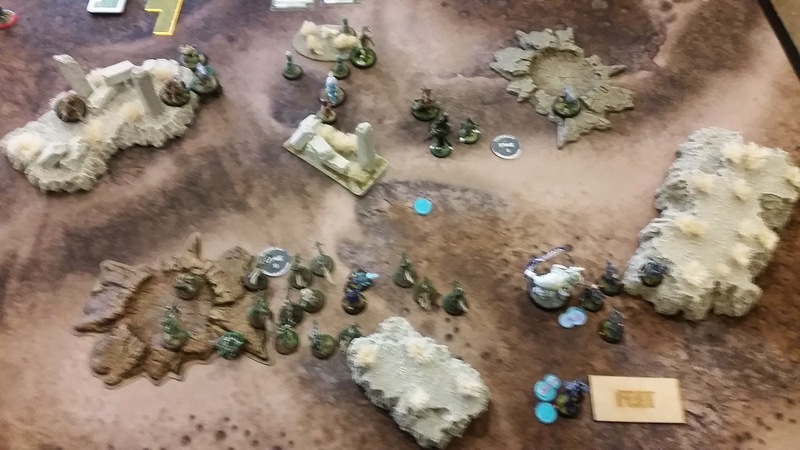 My army mops up the survivors while I try to score more points. Narn fluffs about and fails to kill things, good work Narn. 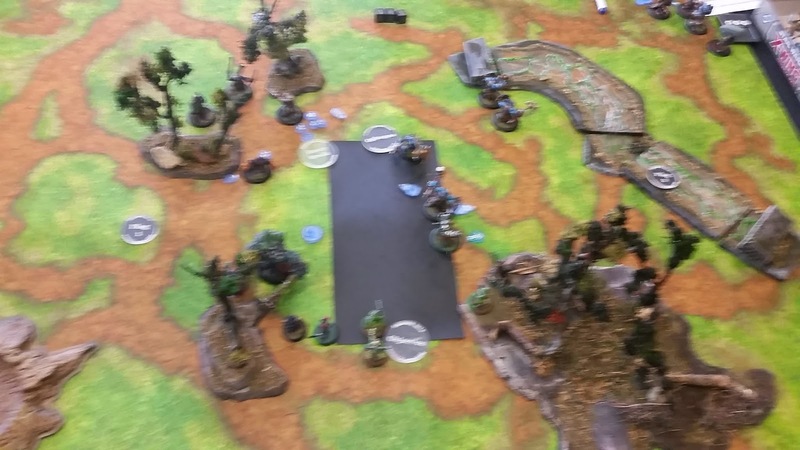 Cryx kill the scenario objective for a point. Retribution continue to fluff about and not kill Mortenebra scoring more scenario points. Morty tries a last ditch assassination on Issyria and she Arcane Vortexes it and that's that. loss of all pretence of being a "nice guy"
Boy am I glad Warmachine doesn't have sportsmanship. I love those guys but I hate myself. 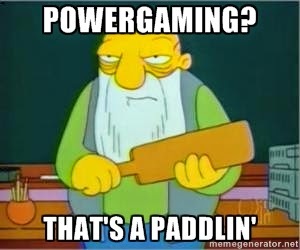 I mean really, not to diminish the game at all but it was pretty straight forward. 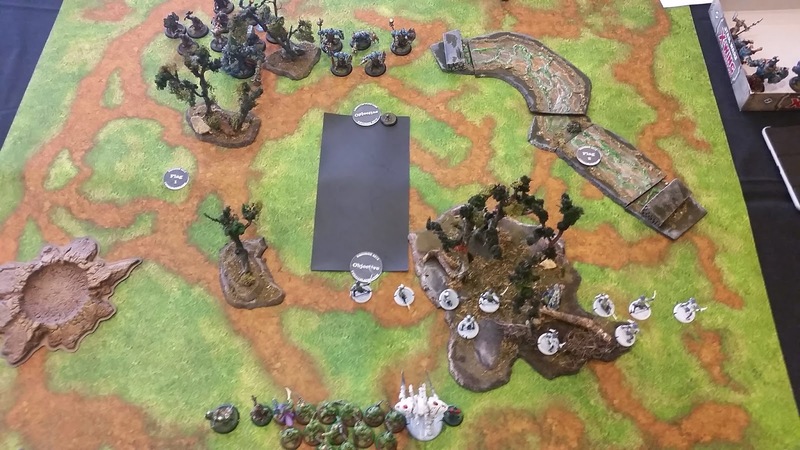 After I neutralized the jacks he had a considerable dis advantage for delivering an assassination or clearing out my infantry. Venue was great, TO was great, everything was great. Not just because I won but it was very hassle free and I hope there can be more and larger tournaments soon in the same place. 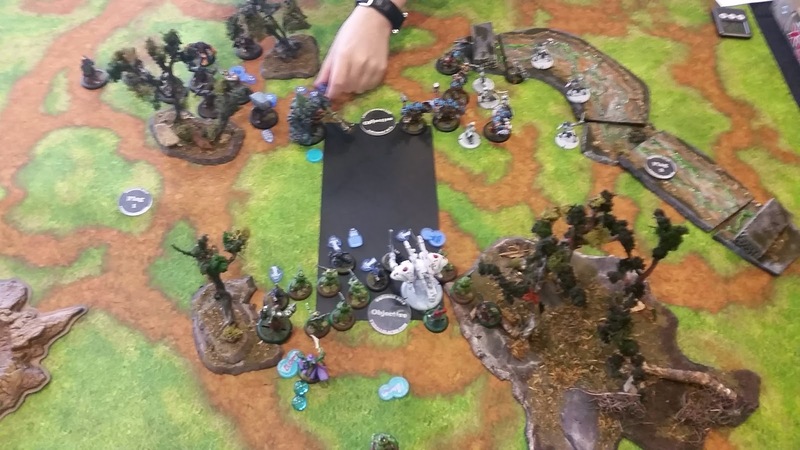 I did feel pretty awful for wiping 2 armies off the table in a turn each with Issyria but its what she does. No its what she needs to do, because if she doesn't well its all wet paper bag downhill from there. One thing about tough tho, whenever you are talking about tough or recounting any one of those ludicrous tough stories the general rule is to take the actual number exaggerate it by at least twice and add a couple. 2 Japanese, a Colombian a Spaniard an American and a Kiwi walk into a bar... The bartender pours 2 sake a sangria a tequila a bourbon and gives the Kiwi prune juice. The bartender says "I heard you were having a problem with passing tough rolls"